HARIBO has just unveiled an even creamier, softer, smoother and squishier HARIBO Supermix! 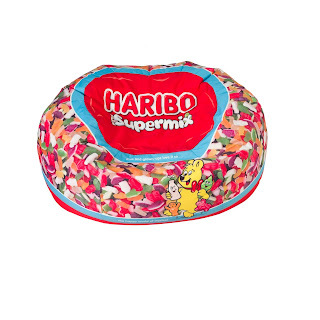 To celebrate the variety of comforting moments that come from eating the Jelly Men, Milk Bottles, Ice-Creams and Sheep pieces that are available in the mix, HARIBO are offering one of my lucky readers the chance to win their very own limited edition Supermix Snuggle Pod worth £250! Just look how awesome it is! Who wouldn't love it? Just like Supermix, the snuggle pod brings to life the comforting feelings that the new, creamier treats provide and offers the perfect opportunity for a #SupermixMoment of comfort. Supermix now boasts vibrant colours and creamier flavours; experience the new lemon meringue and peach flavoured Little Jelly Men and delicious vanilla in the Sheep and Ice-Cream treats. You can also enjoy popular raspberry, blackcurrant and apple flavours, in vibrant pink, purple and green colours. To enter, it's really simple. Just enter your details into the Rafflecopter Form below. 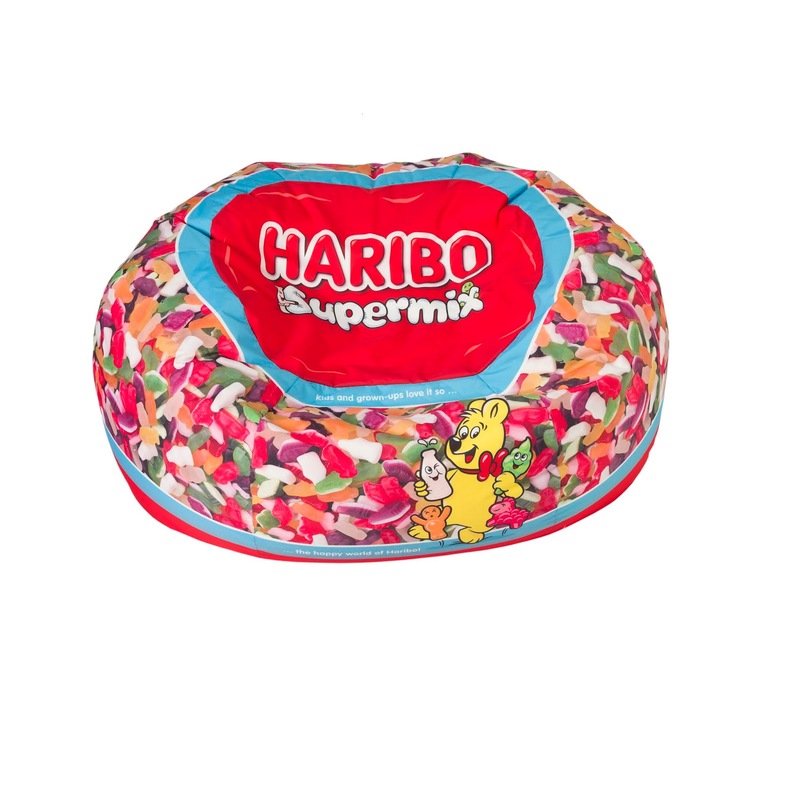 For more details about HARIBO Supermix and the rest of the range, please visit www.haribo.co.uk. This Giveaway is open to the UK only. Entries will end on November 30th. One winner will be drawn at random from all correctly made entries. I'm unsure what you mean by my #SupermixMoment but I do know that the pod would get much love in my house & I am defintely going to enjoy the peach flavoured Little Jelly Men! I think my Supermix Moment would be relaxing on the sofa with a glass of wine. Watching my gorgous little lad snuggle up on it! My Supermix Moment is watching the grandchildren open their presents on Christmas morning. Relaxing with a book and a hot coffee!! For me it would be cuddling up on the sofa or a cool pod like this with one with the cats. Lovely! Watching my favourite soaps with curtains closed, lamps on, candles lit and a glass of wine! Relaxing on the sofa with my hubby watching a great movie. In front of the TV :D Great giveaway! My supermix moment would be watching tv with my family, my cats and my dog and lots of treats for everyone. My Supermix moment would be with my granddaughter, playing games and having fun. Curling up on the sofa with a small glass of red wine, watching dodgy horror films on the TV (absolutely love them). Wine a sofa and a good book! Nice and snug curled up in front of the tv, wine glass in hand. Or the reality, one or all of my 5 kids fighting to get on there! I think it would be snuggling up with the kids and a film on a rainy day.